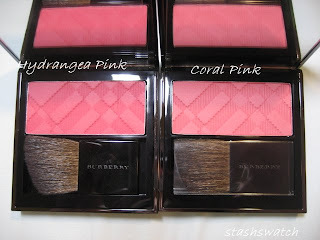 I picked up both blushes from Burberry Spring in order to make sure that I still had a full set of Burberry blushes. The new releases from spring are called Hydrangea Pink (bright blue-based pink) and Coral pink (a warm bright-ish pink). 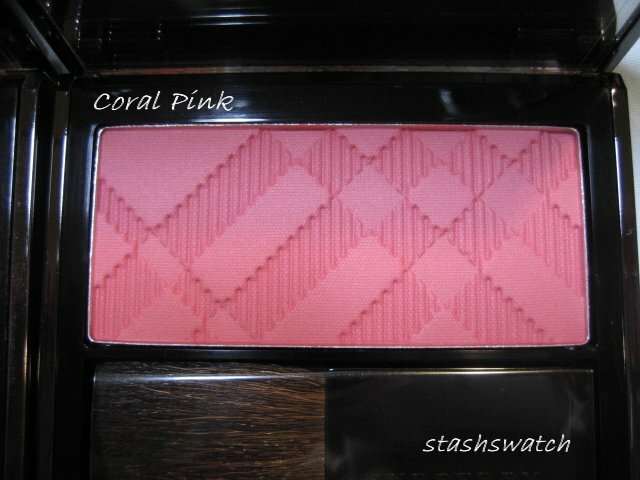 Both have the same finely milled texture and easy blendability as the rest of the line. Both are great colors, but out of the two, I prefer Coral Pink as it is more versatile and flattering in my opinion. 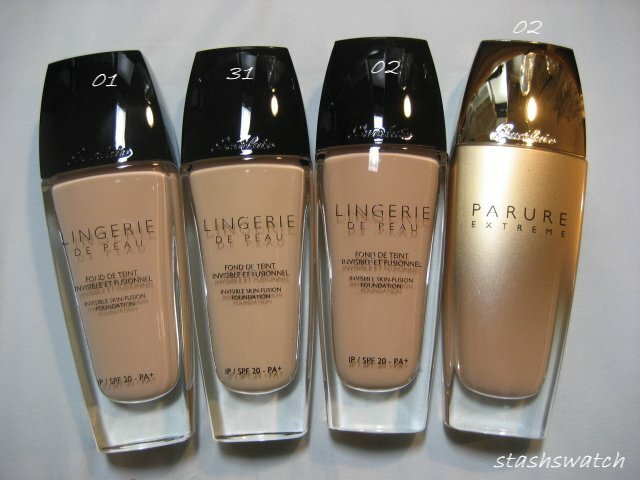 A few months back I hauled 3 shades of Lingerie de Peau, as well as the lightest shade available for Parure Extreme, 02, at the time. 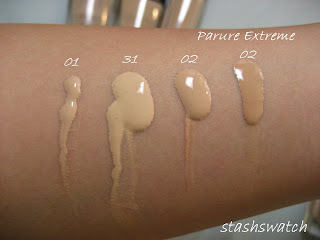 Here are swatches, for the lightest 3 shades of Lingerie de Peau. My arm was about nc/nw20 at the time I swatched these. 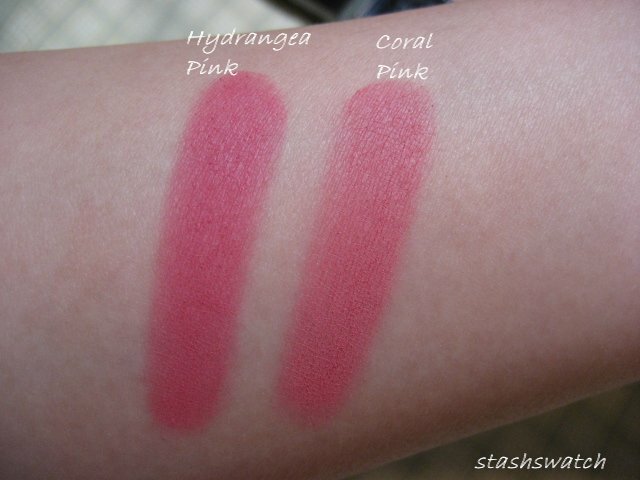 01 and 31 are about the same depth, but 01 is neutral-pink, and 31 is very yellow. 02 would work well for those who are around NC 25. 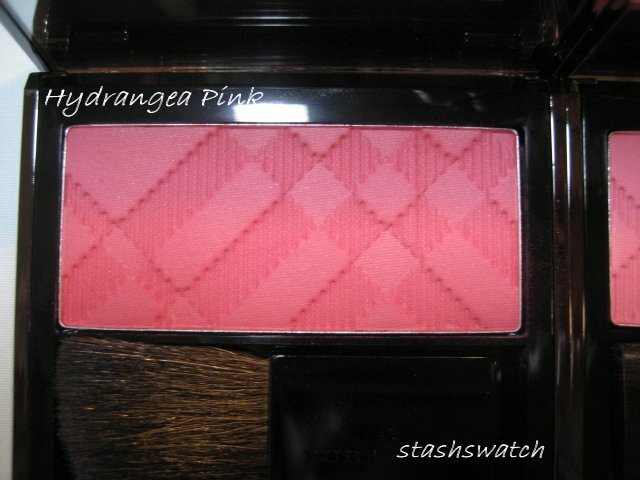 The same shade in Parure Extreme runs a bit darker and more yellow. I can't really comment on the performance of Extreme, as it was far too dark for me. My neck is currently about nc15, and I mix 31 with about a drop of 01 to get a good match. At NC20, I had to mix 31 and 02 to get a good match, although 02 was passable, albeit a bit dark. 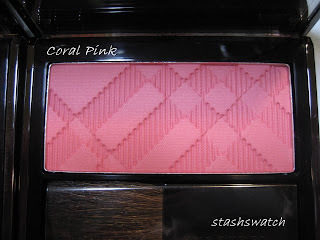 I'm generally pretty fond of this foundation; it wears well and photographs well, and does a decent job at evening out skintone, but I prefer Chanel Vitalumiere Aqua to it )Unfortunately, I'm too light to get a shade match in it now). Coverage is light-medium.